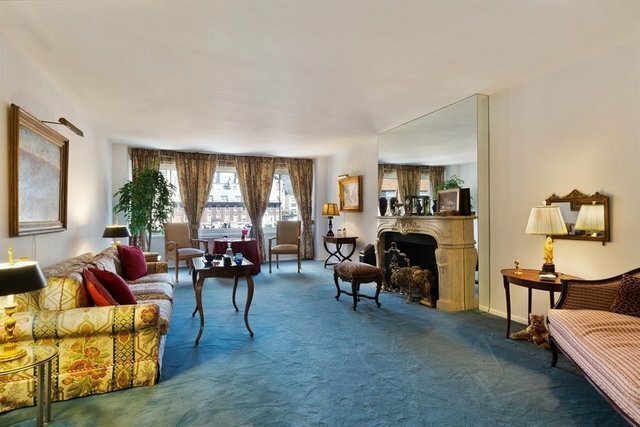 30 East 65th Street is a full service, post war co-op with the classical sensibilities of a bygone era. Located on the corner of Madison Avenue and a block away from Central Park.This ninth floor corner apartment is a breathtaking classic six. It's very large proportions are reminiscent of a prewar layout.Original wood parquet floors, tall ceilings and grand feel is retained in this cared for apartment. Move in with little work, or create a home with your own touches. Upon entering the foyer leads to a gracious gallery with abundant closet space and immediate sense of grandeur. The oversized North facing living room with its wall of windows is full of sunlight and city views. A formal corner dining room with treetop views is adjacent to the windowed kitchen. The current layout allows for fabulous entertaining! The entire apartment has three full bathrooms and a powder room as well.The large windowed staff room located next to the kitchen has been used as an office, including its own full bath and washer/dryer. A Master bedroom with double exposures enjoys an en-suite bathroom, dressing area and multiple closets.The second bedroom, currently used a den also has double exposures of North and East and a full bathroom. The Colony House is a white-gloved co-op, offering full-time doorman and concierge service, live-in superintendent, parking garage, bike rack, gym, laundry room, and a beautifully landscaped common roof deck. This corporation welcomes pied-a-terre ownership. 50% financing permitted. Maintenance includes gas and electric. Sorry, Dogs are not permitted.